Bratislava’s opera house – known officially as the historical building of the Slovak National Theatre – is a Neo-Renaissance-style building opened in 1886 as the City Theatre, according to the design of Viennese architects F. Fellner and H. Helmer. The busts of famous musical composers appear in the oval openings in the façade, as well as a stone sculptural group, the Muse of Thalia by the Viennese sculpture T. Friedl, and putti, figures of children symbolising tragedy and comedy, by V. Tilgner. Tilgner was also the designer of the superb Ganymede’s Fountain at the entrance to the theatre. The fountain depicts Ganymede, borne by an eagle to Olympus, where he will serve Zeus and in reward gain eternal youth, which to this day radiates from the boy’s joyful face. 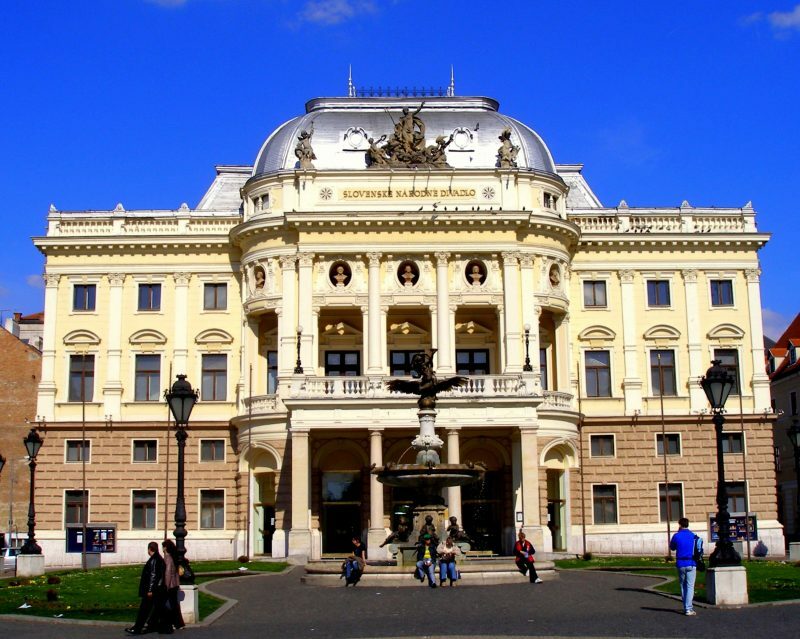 The building is the seat of the Slovak National Theatre opera and ballet ensembles.